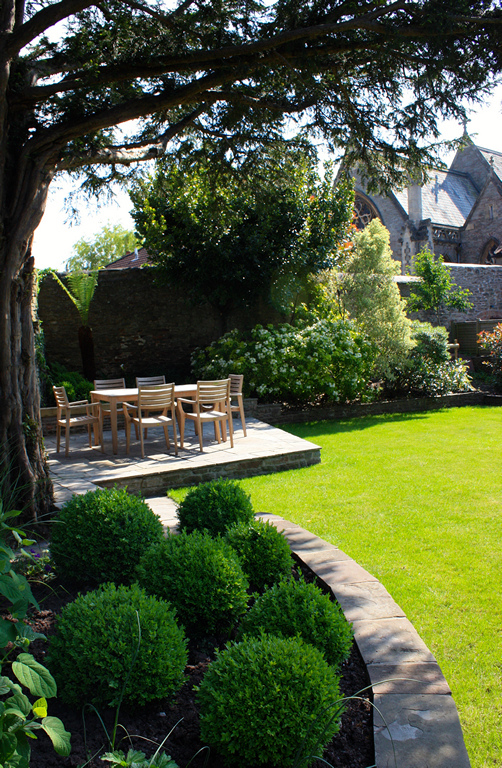 Medium sized (25x35m) back garden for a beautiful Georgian house in Stapleton Bristol. 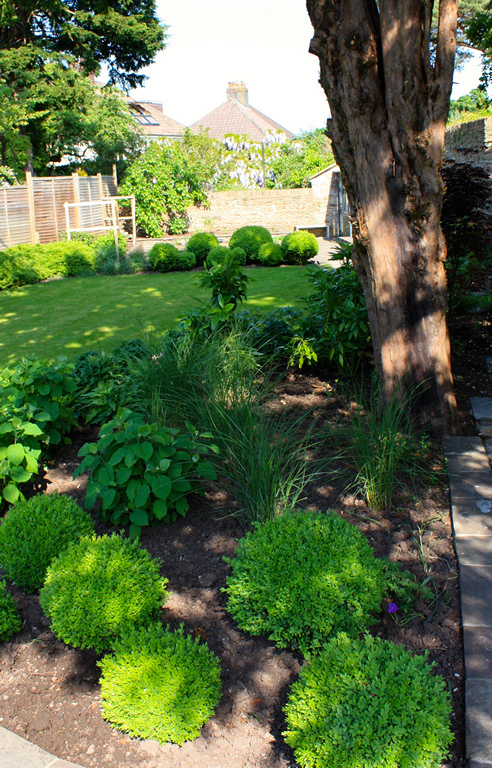 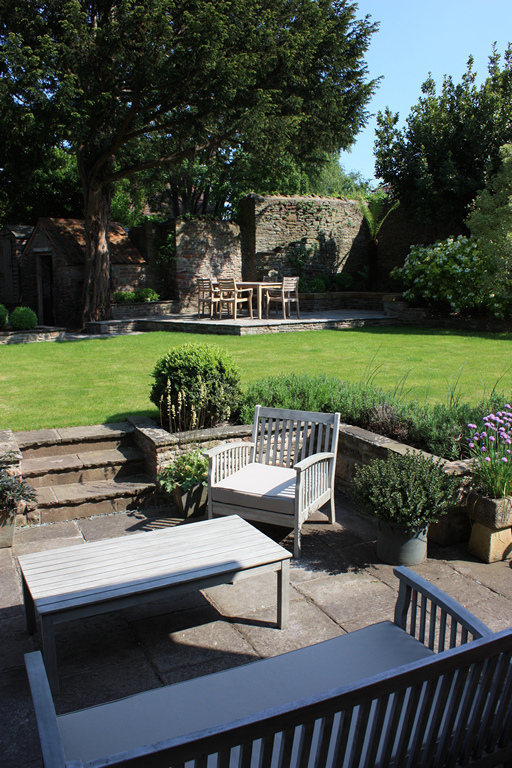 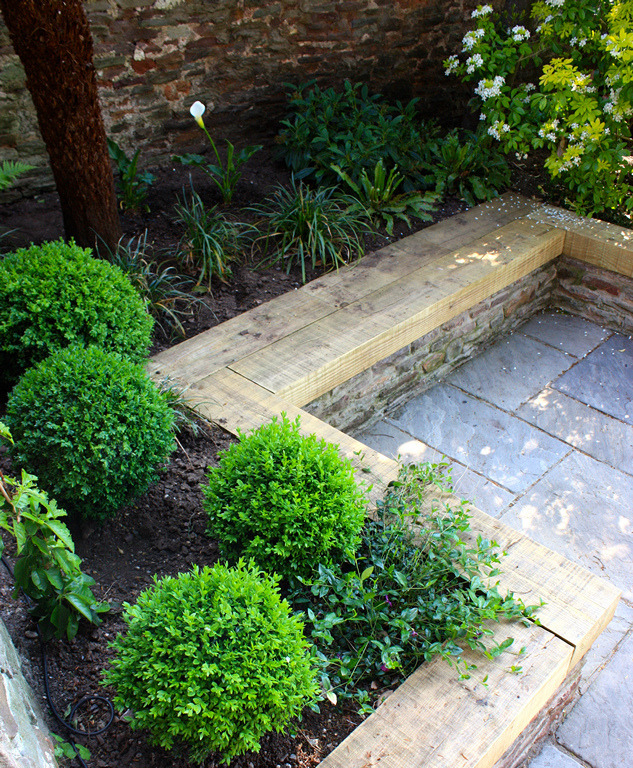 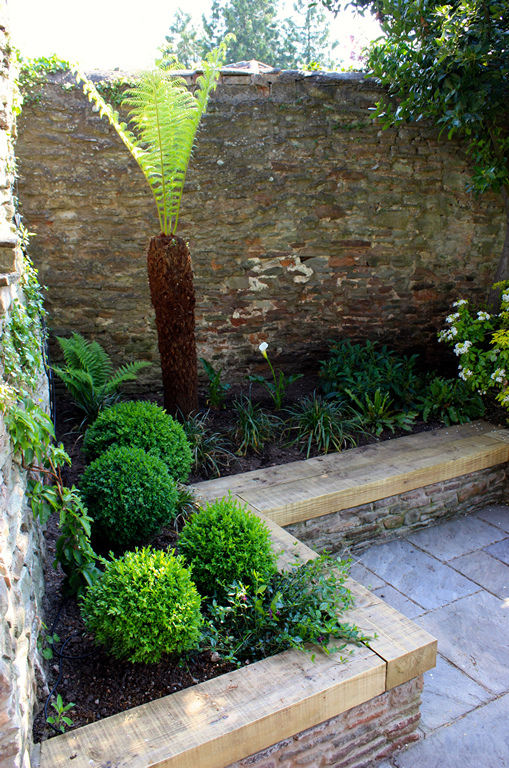 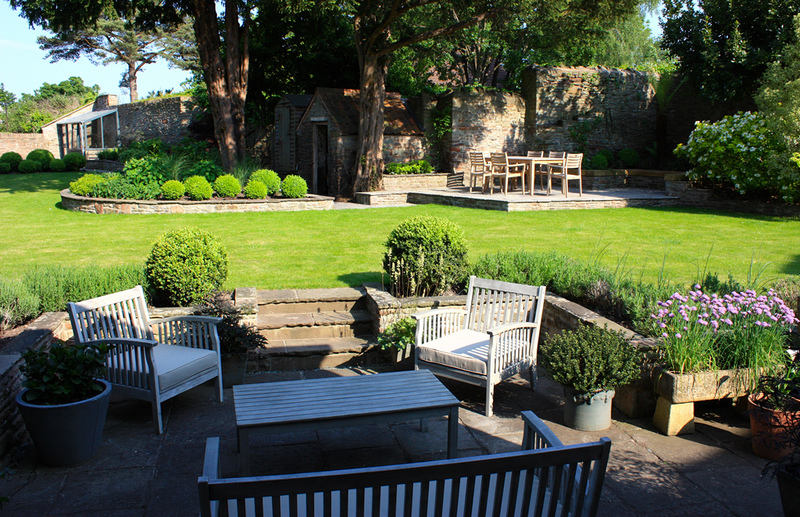 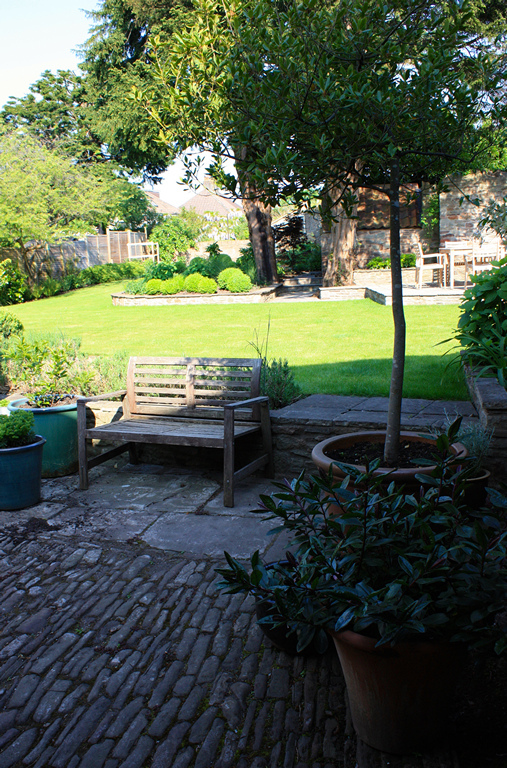 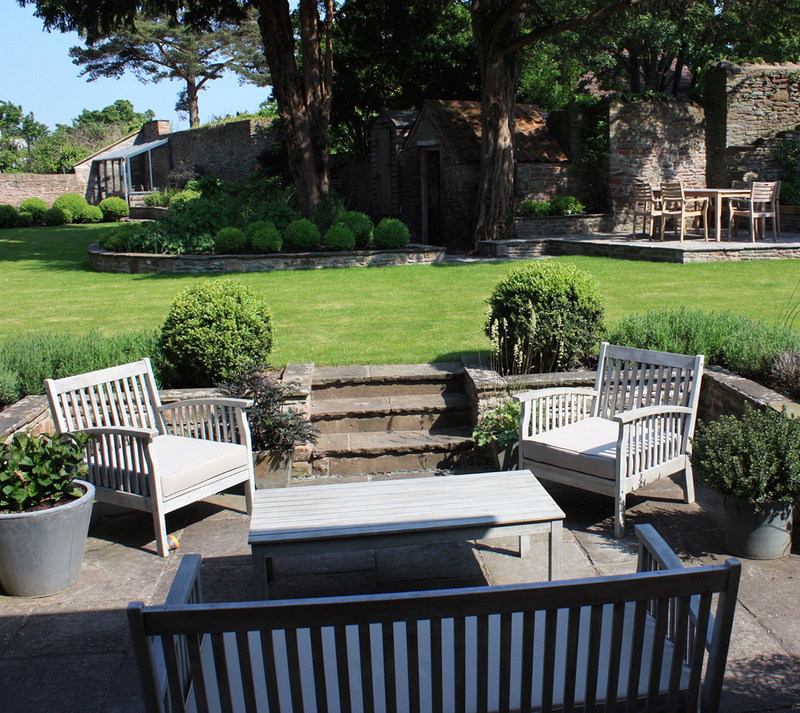 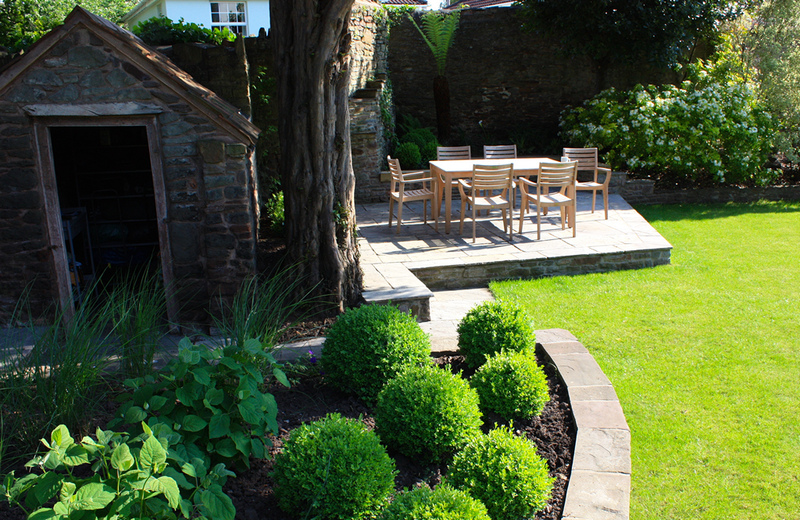 Original high stone walls enclose the garden, creating a lovely sheltered space and a fantastic backdrop for planting. 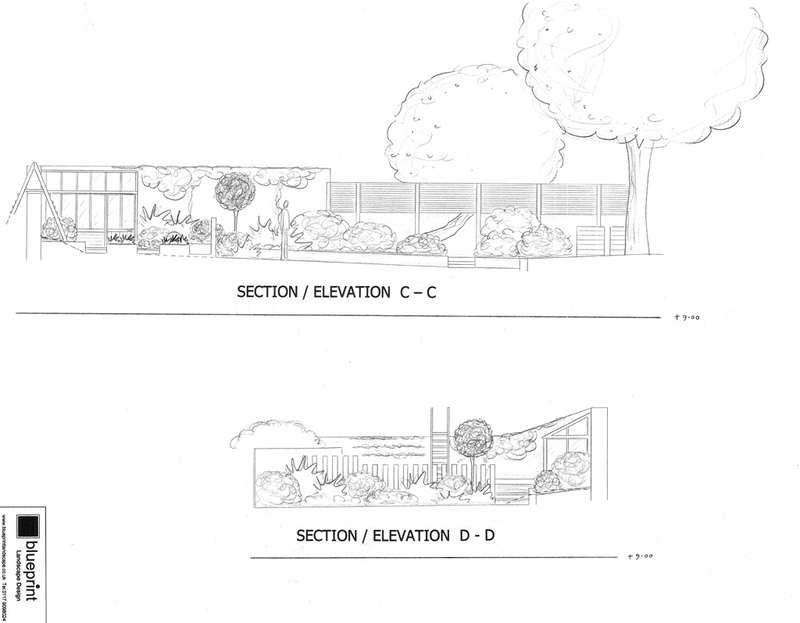 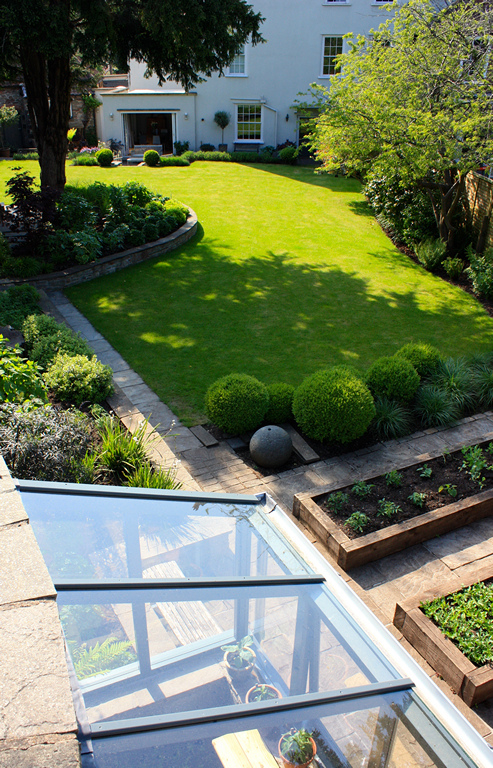 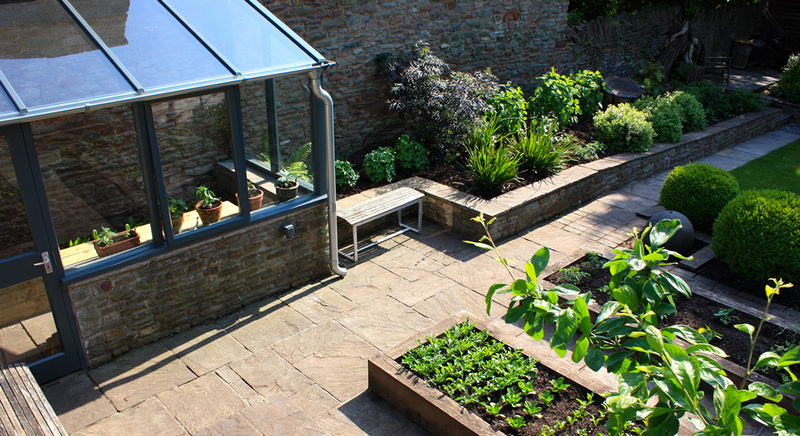 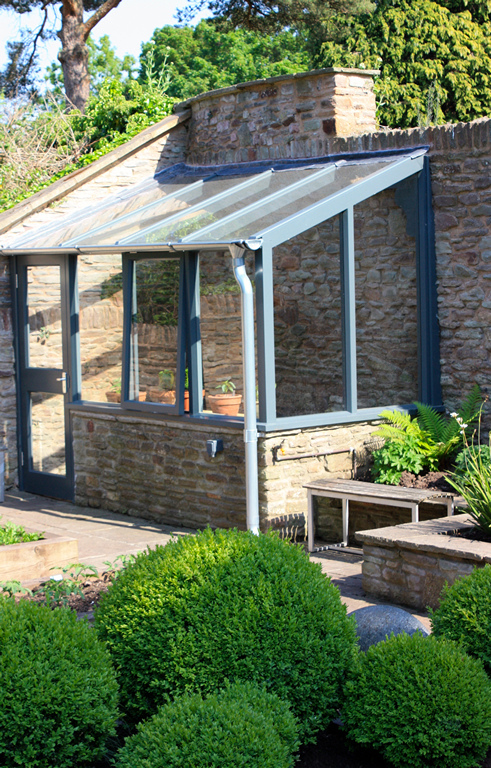 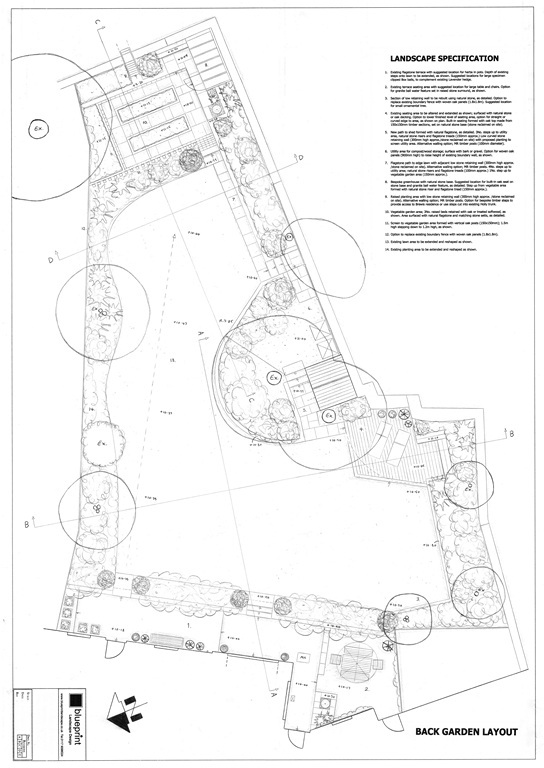 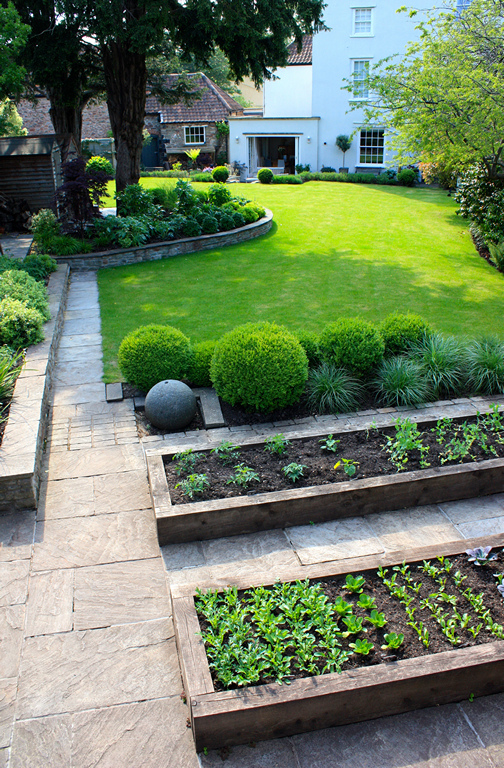 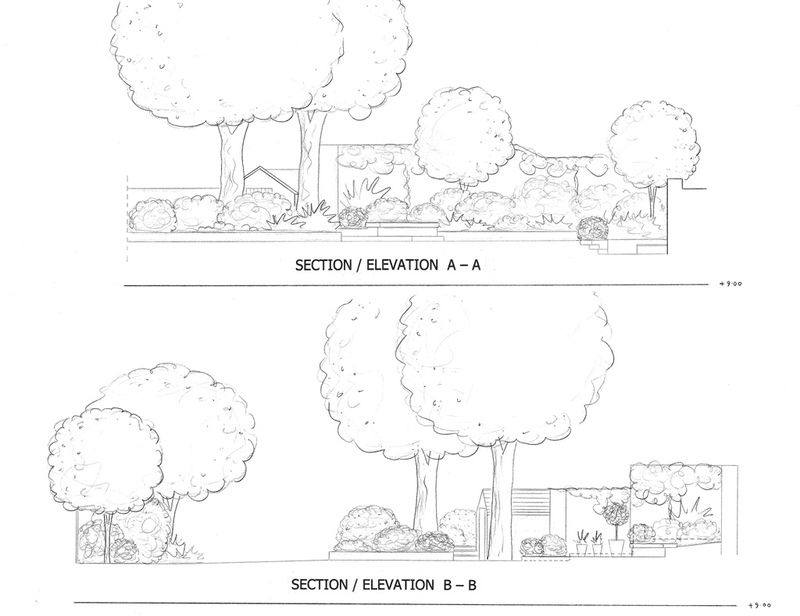 The design includes upper and lower stone paved terraces, raised planting beds retained with natural stone walling to match the boundary, a smart vegetable garden and a bespoke timber greenhouse. 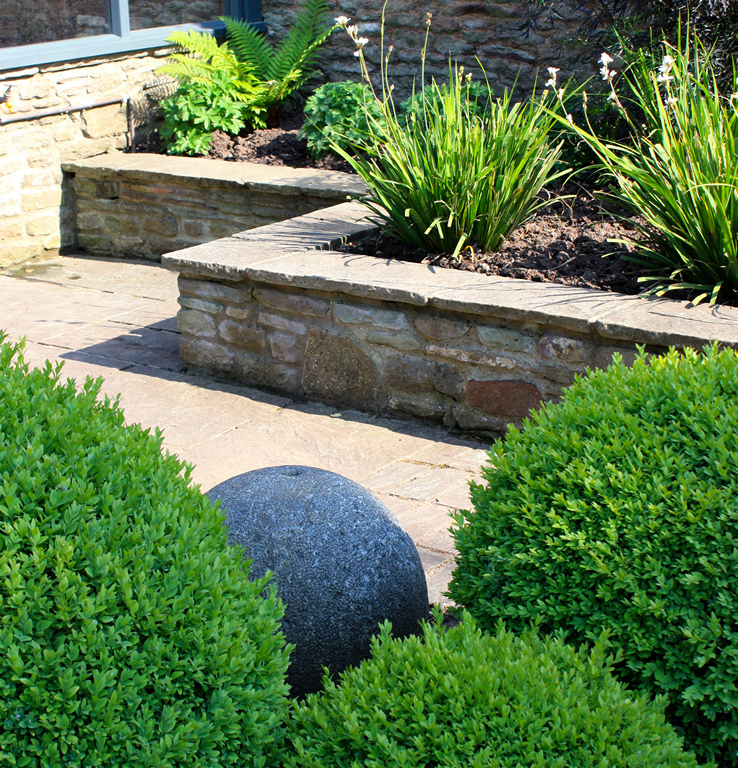 Repeated groups of clipped/rounded shrubs unify the planting scheme and contrast with less formal ornamental grasses and perennials.